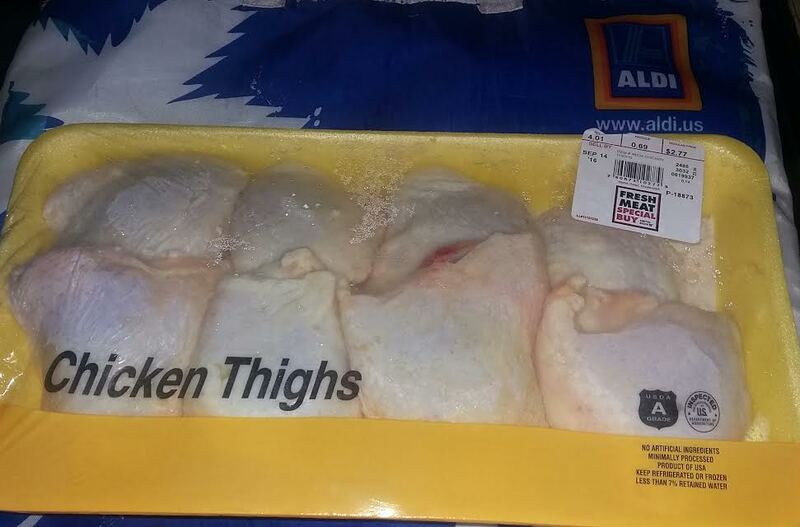 We bought 4.01 lbs of chicken thighs for only $2.77. As a vegetarian, I am not fond of handling chicken, but I do have four meat-eating men folk in the family, so once in a while I'll have to make the sacrifice. So, I've cut up the chicken thighs, seasoned it, and tomorrow might the guys will be eating Jamaican chicken curry, while my daughter and I will enjoy a vegetarian curry. Our store limits the weekly meat deals to one per family. It's nice that they have the limit though, because it means that everyone actually gets a chance to get in on the deals. In South Florida, the weekly meat deals were usually gone by 3 pm on Wednesdays. Do you have a limit at your store?